Staying off blacklists and protecting their IP reputation is a priority for Site5. The company had tried to avoid blacklisting with a central mail system that used central storage and standalone relay servers to monitor and filter spam, but was shut down due to cost. 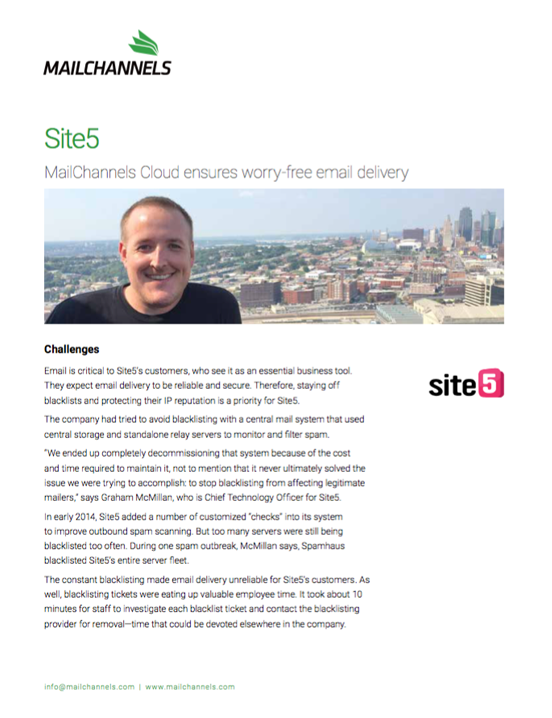 Learn how Site5 used MailChannels Cloud to solve their issues. Read how Site5 gained a more efficient way to eliminate IP blacklisting problems and is now able to guarantee reliable email delivery for customers.